A fresh and healthy garden is a complement to any well-kept property, having the garden in tiptop nick all the time though is a bit of a tall order and not many people have the time, means or expertise to deal with all that the garden throws at them. We however can be of help – our professional gardening at Cleaners Liverpool is one of the most efficient and affordable ways to keep the garden fresh and healthy for most part of the year. General garden maintenance like watering, weeding, tidying up etc. 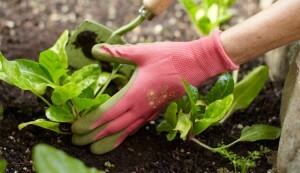 Seasonal garden tasks like planting, re-soiling, pruning and others. Specialised lawn care – mowing, whipping, revival, returfing etc. We can also assist customers with certain basic landscaping duties, however for complex or specific landscaping projects we can put people in touch with trusted and reliable professionals. We won’t charge you silly money for keeping the garden nice and fresh, quite the opposite actually – we maintain and provide various garden care and maintenance packages which are right for different budget requirements. We even have low maintenance gardening packages for basic garden setups, ideal solution when people spend a lot of time away from home and don’t really have the time to do their own gardening or enjoy the garden that often. 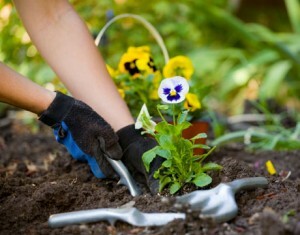 Of course, the actual gardening service itself can be altered as per individual customer needs and budget requirements. The service pricing will accurately and fairly reflect the actual scale and complexity of the gardening service package customers have opted for. All gardening procedures are carried out by experienced, professional gardening technicians who have the technical expertise and practical skills to do the job right. Our teams are well trained and well organised, they are proficient and effective in safe use of various power and manually operated tools and pieces of equipment. Gardening maintenance visits are available as one off or on a fixed schedule basis. We are able to work out and implement a regular gardening schedule of visits, specifically designed for the type of plants in your garden. For best results we recommend having the gardening chores done in fair weather, however we do understand that this depends on circumstances so we will won’t shy away from taking care of your garden in the rain. The gardening service can be combined with various other exterior treatments we have in store such patio or driveway pressure washing, removals etc. Service is available for booking seven days a week, under flexible hours. For more information please speak to our customer consultants.